The ultimate goal of Kentucky Lake Outdoor Adventures is to share our love and enjoyment of Kentucky Lake with like-minded individuals. If you enjoy being outside and taking in all that Mother Nature has to offer, then you are in the right place. If you are not familiar with Land Between the Lakes (LBL) (http://www.kentuckylake.com/lbl.shtml) then you do not know what you are missing. LBL is approximately 200,000 acres of pure wilderness set in between two of the largest man-made lakes in the country. This spectacular area offers just about everything an outdoor-loving individual looks forward to doing in their free time. It is a perfect place for hunting, fishing, back packing, kayaking, triathlon training and so much more. 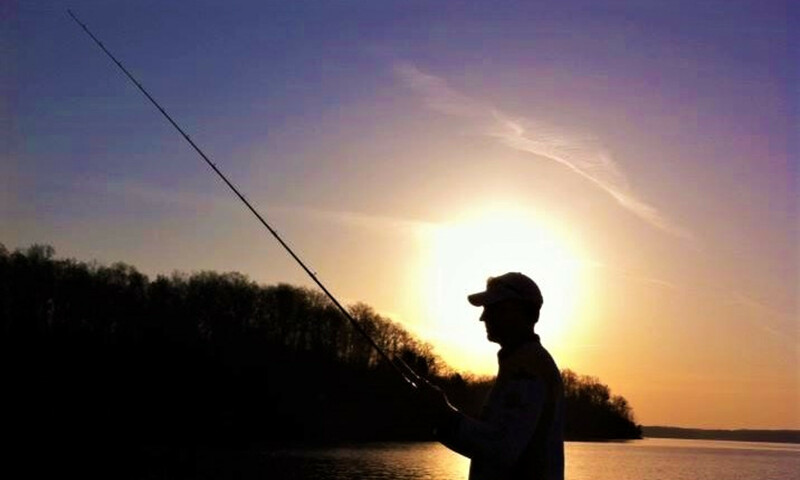 Our focus is to make your outdoor adventure on Kentucky Lake spectacular. Even though our main focus is on Bass Fishing, we enjoy the other activities just as much. We sincerely hope you give us a chance to make your experience so amazing that you will come back every year. Kentucky Lake is arguably the best bass fishing lake in the world. It has hosted every major bass tournament. One of the great things about KY Lake is that it is so big you are never crowded and can enjoy the peacefulness and beauty of the surroundings. All fishing packages require a three day minimum stay and include lodging and home-cooked meals. *We also enjoy crappie, bluegill and catfish and can provide exciting options for all three types of fishing. Whether it’s boating, tubing, jet skiing, kayaking, or venturing out on the hobie eclipse, we have everything you need to enjoy a beautiful day on the lake. Navigate through individual sections of water activities for more info and pricing. And as always, feel free to contact us with any questions! We are introducing hunting in 2018 based on recommendations from our guests. Our hunting experience will consist of us organizing your perfect hunt in remote locations of Land Between the Lakes. With almost 200,000 acres of pure wilderness, we can deliver you by boat to remote areas and assist you in harvesting your game. LBL has thousands of acres teeming with game and over 300 miles of undeveloped shoreline, it offers an impressive variety of hunting opportunities and more than 250 days a year of in-season hunting. Our guests will find white-tailed deer, wild turkey, squirrels, and other forest game species abundant. LBL offers annual spring turkey and squirrel hunts, fall/winter hunts for deer, waterfowl, and a variety of small game species. Be sure to check out our video, we are less than a one mile boat ride across the lake to world class hunting.